Beadpin (not curved) with 2 screw nuts for invisible ring. PLEASE SELECT THE LENGTH OF THE BEAD PIN! You need a ring pliers to curve the beadpin! 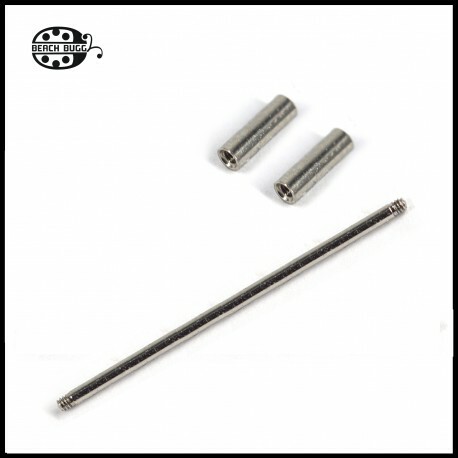 If you need other bead pin size, please buy the bead pin here: CLICK and screw nuts here: CLICK!